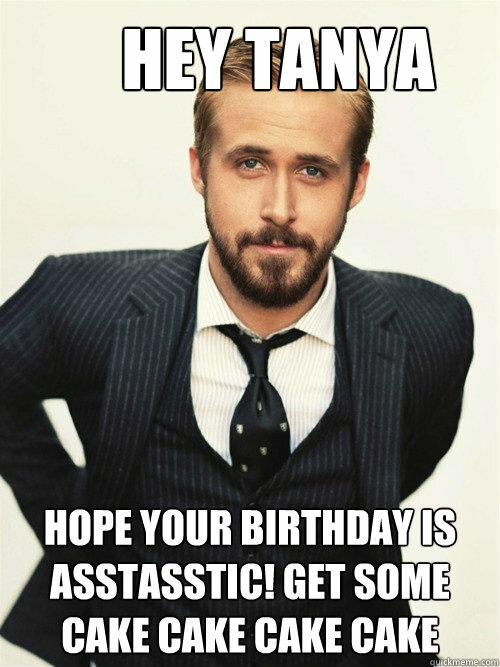 Hey Girl Happy Birthday! I have a special present for you... me covered in sweet delecious cake. 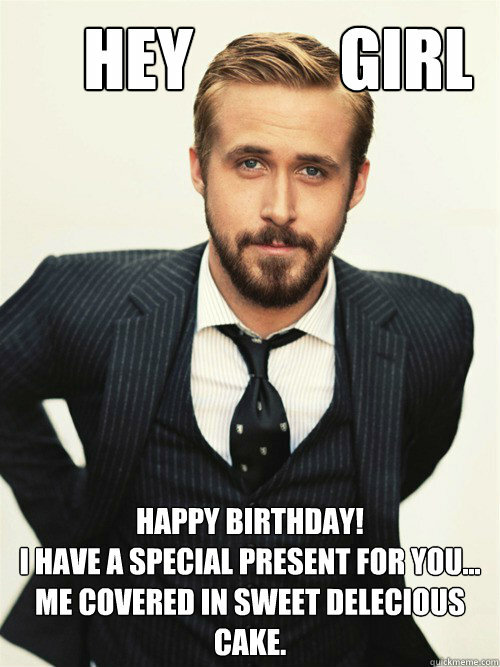 Hey Girl Happy Birthday! I baked you some cupcakes. 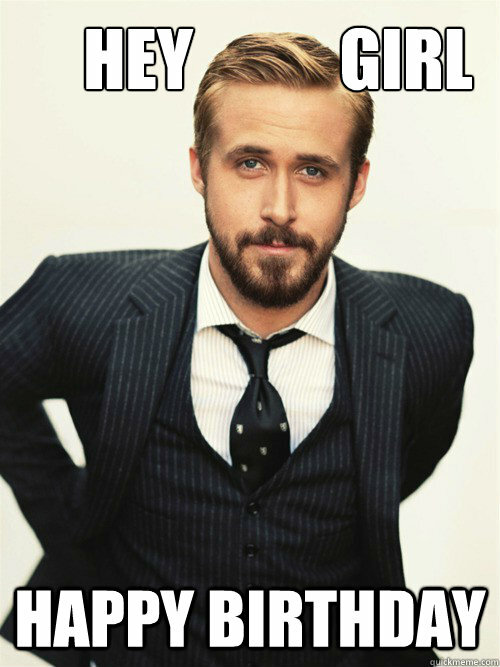 Hey Girl I'd stay home and eat peanut butter with you any day. Hey Girl That messy bun & oversized tee look great on you. You're gonna ace these finals, babe. 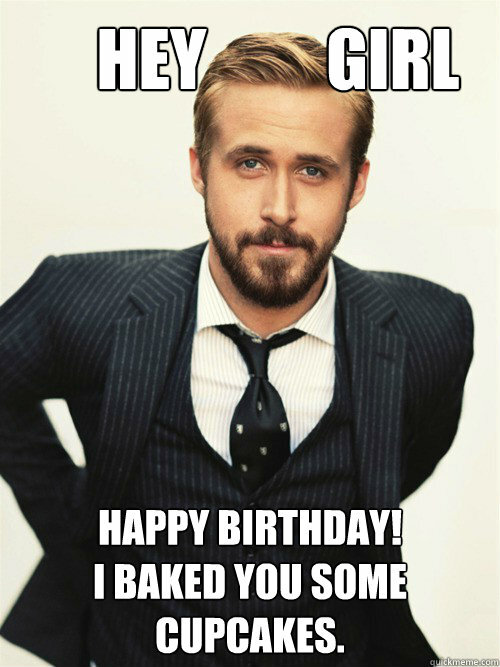 Hey BOO Happy Birthday! I kept my shirt on this is crazy but here's my number call me maybe? 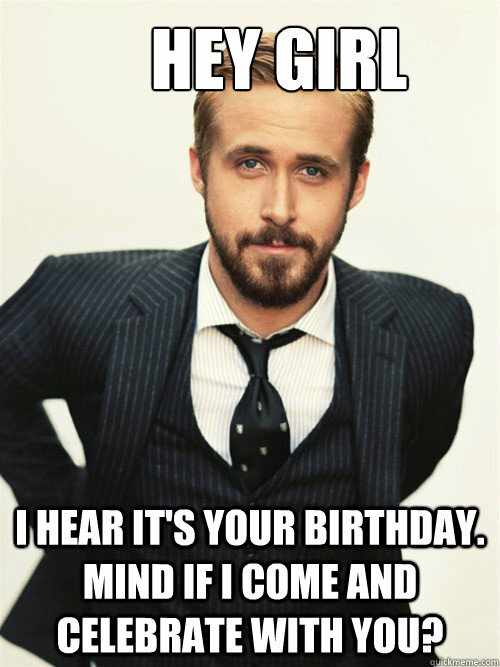 Hey Girl I hear it's your birthday. 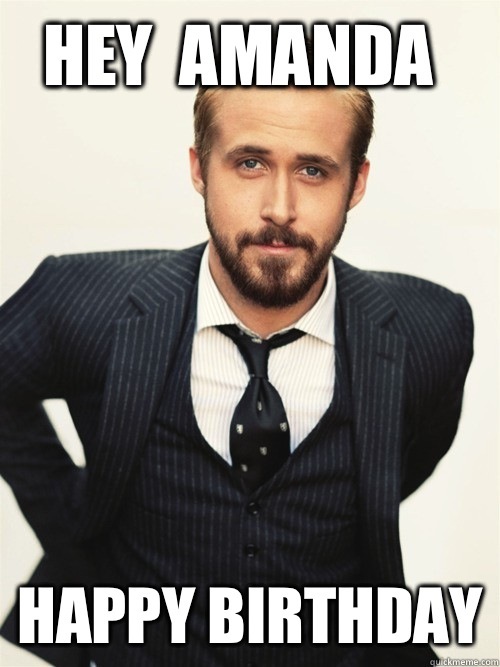 Mind if I come and celebrate with you? 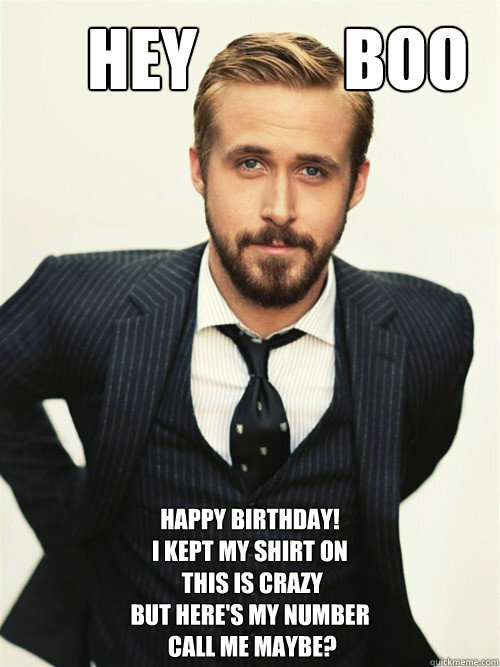 Hey Girl I Just Met You and this is crazy you've got a wide-on so Happy Birthday! 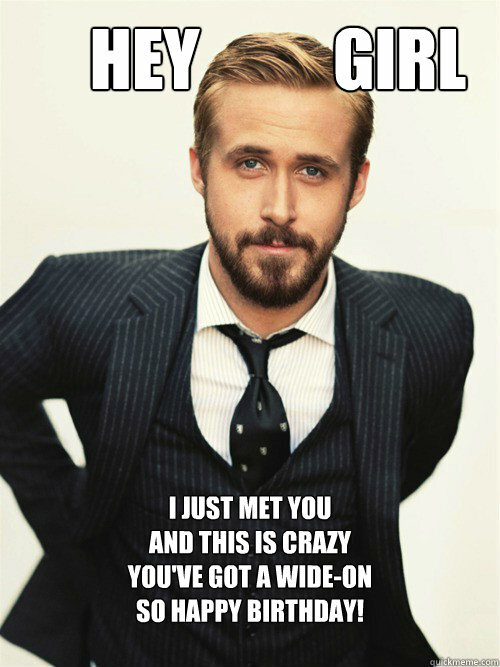 call me maybe?